… what the sketching is all about. 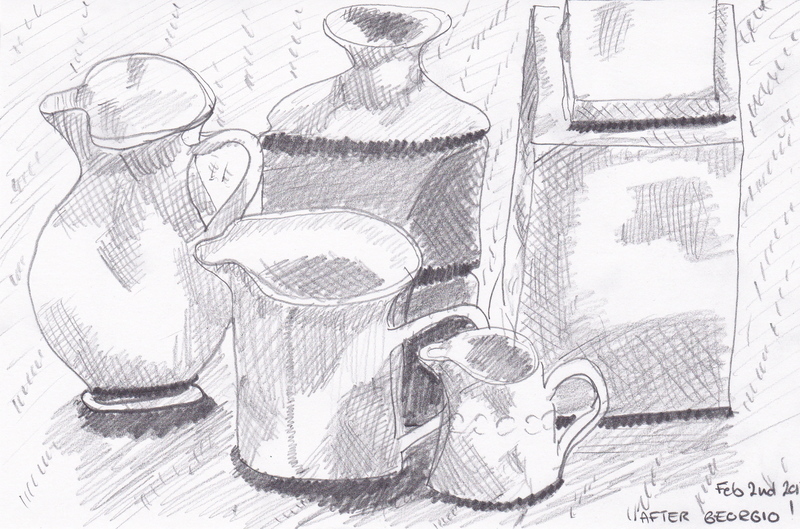 The tutors at KLC place a lot of emphasis on sketching every week, and keeping up with our sketchbooks. To start with I didn’t really get why it was so important. You might ask…. 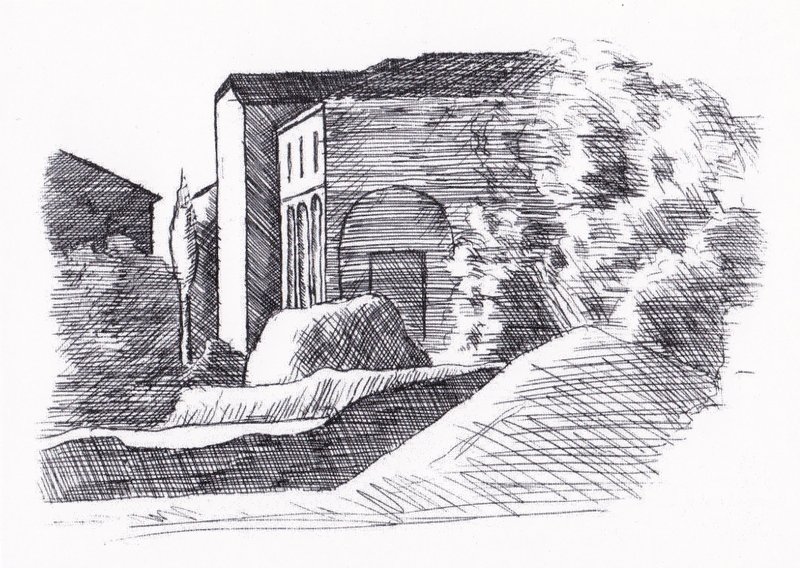 I certainly did… what sketching has got to do with gardens and plants? But this course is about design. And design is about seeing. Sketching is a great way of helping us to see. To see how the ordinary and everyday things around us, that we all take for granted, have their own unique and individual form. 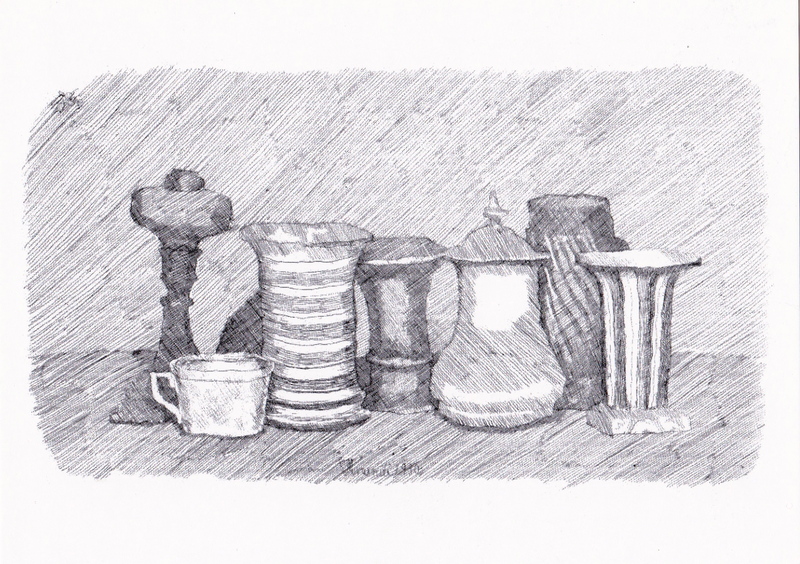 I’ve just been to see some great examples of the magic in everyday objects at the Georgio Morandi exhibition at the Estorick Gallery, a short walk from Highbury and Islington tube station. I’d seen a review of this exhibition by Andrew Graham-Dixon in the Saturday papers. If I hadn’t been trying my hand at sketching I would have glanced at it and passed on. But it caught my attention… and I’m so glad it did. Here form is created out of shadow. 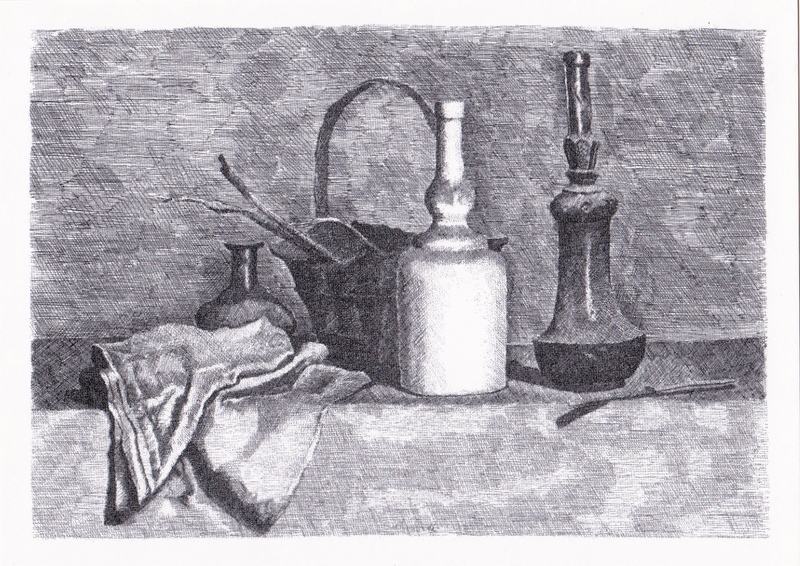 The artist achieves infinitely subtle variations of tone with the simplest of cross hatching. Objects and landscapes spring to life out of nothing more and nothing less than black and white, and light and shade. Lines on a page creating poetry. So I came home and had a go myself. Ok so it’s not great….But I’m new to this sketching lark….And at least I’m having a go…Which is what this year is all about. So go and see Georgio and be inspired.